Our London branch has recently opened up Statista, one of the world’s leading statistics, market research and business data portals to our users. Consisting of over 1,500,000 statistics on over 80,000 topics from more than 18,000 sources, Statista provides business statistics and industry reports on consumer goods, trade and retail, media and advertising , sport and recreation, technology and telecommunications, transport and tourism. Industry reports are available covering market trends, international brands, sales figures, companies and countries, with useful infographic on popular topics. The Library now has full subscription access to The Business Management Collection, a collection over 950 specially recorded, animated lectures and case studies by more than 850 contributing editors and speakers from commerce, industry, the professions and academia. New talks are issued every month. Lectures and case studies, or extracts from them, are easy to integrate and embed in courses to enrich the teaching and learning experience. They are all compatible with Moodle and particularly appropriate for distance and blended learning courses and flipped classroom education. The collection is divided into six broad subject areas – Finance, Accounting & Economics; Global Business Management; Management Leadership & Organizations; Marketing & Sales; Strategy and Technology & Operations. Lecturers and presenters are leading academic experts and practitioners from commerce and industry. Traditional format lectures with high quality graphics. The entire lecture as well as extracts can be embedded in course notes and online learning systems. Case Study Interviews. They are designed to explore how different participants in commerce and industry, from start-up entrepreneurs to large corporation executives, confront the challenges they encounter. Additionally, all videos are accompanied by suggested topics for discussion and individual and group projects. Extended form case studies. These accounts of real world experience describing what was done, how, when and with what consequences have proved especially useful in preparing students for in-class discussions. As a companion to the Forbes Archive trial we’re running this month, we’re also trialling an archive of the popular Bloomberg publication, Businessweek. Please click the hyperlink below for the subject coverage, title coverage list and other information for the resource. The trial runs until 28th October 2016, you have access to the full range of content that would be purchased through an annual subscription. This month we are trialling a database containing the archives of one of America’s most popular business magazines, Forbes. We welcome feedback – good or bad – on this trial, please contact Steve Corn ( mailto:s.c.corn@lboro.ac.uk ) with your comments. Calling All Business & Economics Students! The quality of your references will reflect in the quality of your essays and assignments… so why are you not using the excellent resources your library has to offer? Check out the EBSCO databases Business Source Complete (EBSCO) and EconLit! Business Source Complete is the world’s definitive scholarly business database, providing the ultimate collection of bibliographic and full text content. EconLit is an electronic bibliography of economics literature throughout the world. It abstracts books and indexes articles in books, working papers series, and dissertations. Both will give you access good quality information and help expand your knowledge on your chosen topic. This month we’re trialling a fascinating historical resource that may be of great interest to marketing students and those interested in the often weird & wonderful world of American advertising. American Consumer Culture: Market Research and American Business, 1935-1965 provides a unique insight into the American consumer boom of the mid-20th century through access to the market research reports and supporting documents of Ernest Dichter; the era’s foremost consumer analyst and market research pioneer. 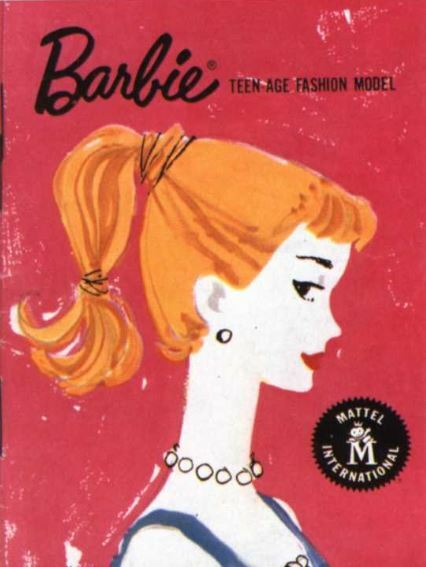 The collection is a treasure trove of information on some of America’s best known brands, containing thousands of reports commissioned by advertising agencies and global businesses in a booming era for consumerism, ‘Madison Avenue’ advertising and global brands on consumer goods ranging from tobacco and broadcasting to cars and hotels. Immensely influential, Dichter’s Freud-inspired studies put the consumer “on the couch” and emphasised the unconscious motives behind consumer behaviour. The Institute of Motivational Research employed trained social scientists and used established methodologies to conduct psychological research. Dichter’s career reached its peak after Vance Packard’s bestselling exposé The Hidden Persuaders (1957) presented Dichter as a mastermind manipulator who could exploit the emotions of consumers for the benefit of any advertising agency or big brand. The work of Dichter and his Institute for Motivational Research provided the building blocks for many of the great campaigns of advertising’s golden age – including Exxon’s famous “put a tiger in your tank” campaign and the slogan “bet you can’t just eat one” for Frito-Lays – as well as facilitating the successful introduction of Mattel’s Barbie Doll (pictured above from their archive). This collection will provide researchers of consumer culture, business, advertising, marketing and psychology with a wealth of documentation. The wide variety of industries featured will allow for diverse – and multilateral – approaches from a range of academic disciplines. To begin searching please go to: www.consumerculture.amdigital.co.uk – access is via IP address and the trial runs to 1st February 2016. Those terribly nice people who provide the world’s most comprehensive marketing database, Mintel, have just produced a handy online student starter pack for the 2015-16 academic year to help students get to know how to get the best out of their resource. The pack contains info on how Mintel can help students with their projects, how to navigate the Mintel site, and also some background information about the company. As an added bonus, they’ve also produced a handy five-step guide showing how Mintel can help students produce their own business plan. Mintel is a major source of consumer-related marketing intelligence information in the UK. 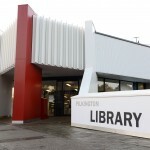 Loughborough University Library subscribes to three sections of the Mintel database – the Leisure Intelligence Series, the Market Intelligence Series and Mintel Industrial Reports – all searchable via Library Catalogue Plus. Access is via your University username and password. 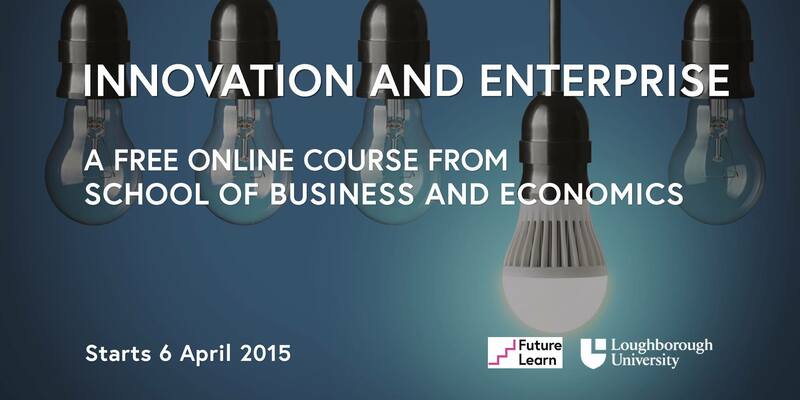 This April the University will be running another free online course in association with FutureLearn, the first UK-led provider of massive open online courses (MOOCs). Innovation and Enterprise will give you the opportunity to learn how an innovative idea becomes a reality. The course is free to join and is led by our internationally renowned School of Business and Enterprise and runs for six weeks, starting on 6th April 2015. 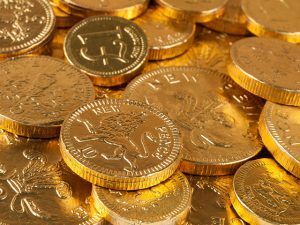 We’re currently trialling an industrial statistics resource that may be of some interest to business and economics students. Statista aggregates statistical data on over 600 international industries from more than 18,000 sources, including market researchers, trade organizations, scientific journals, and government databases. With Statista, you can access the most recent and relevant statistics and studies on a specific topic by simply entering a keyword. To begin searching please visit the Statista homepage here. Access is via IP address from on-campus or from off-campus via the VPN. 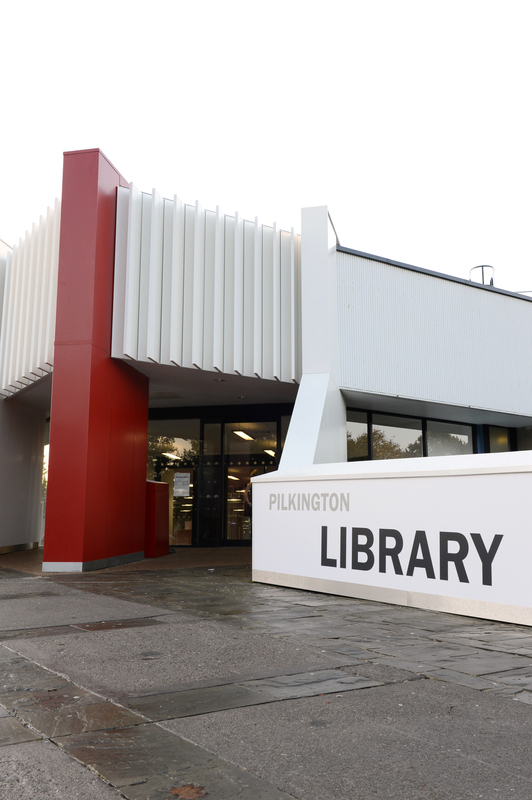 The temporary problem we were having with our water supply has been resolved, so the Library is now open for business.